Honeywell workers stay strong against union-busting tactics in Indiana. South Bend, Ind. – Hundreds of supporters rallied Feb. 11 in South Bend, Ind., to support United Auto Workers Local 9, whose 320 members are locked out by Honeywell. 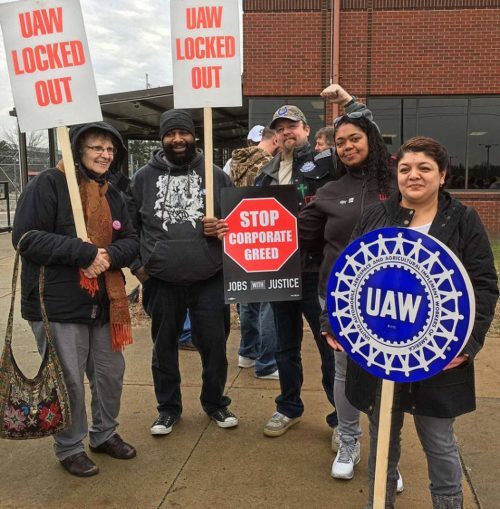 The workers in South Bend, along with 42 members of UAW Local 1508 in Green Island, N.Y., were locked out May 9, just two days after workers voted to reject a contract that would have eradicated 80 years of bargaining advances. Among the core issues that drove Local 9 to overwhelmingly reject the contract in May and again in November were provisions to eliminate seniority rights and to make workers pay an unaffordable share of health care costs. Honeywell would also have had the right to make additional changes to health care coverage unilaterally. Organizers chose the rally date to honor the 80th anniversary of the victory of the Flint Sit-down Strike. That was the 44-day occupation of General Motors plants that forced the company to recognize the UAW. Local 9 actually pioneered the sit-down tactic in the UAW when it held the union’s first occupation in November 1936, winning union recognition from Bendix after holding the plant for six days. The union’s supporters rallied at UAW Local 5, which offered its space in solidarity with the locked-out workers. Local 5, one of the original locals that founded the UAW in 1935, represented Studebaker workers until the company folded in 1965. This local still represents workers at several companies. Paul Mishler, director of Labor Studies at Indiana University-South Bend, chaired the rally and gave a presentation about the 1936 sit-down. Other speakers included Local 9 Vice President Todd Treder; UAW Local 551 Vice President Scott Houldieson, representing the Autoworker Caravan, which initiated the rally; St. Joseph Valley Project/Jobs with Justice Chair Joe Carbone; United Steelworkers staff organizer Robin Rich; and South Bend Common Council member Regina Williams-Preston. 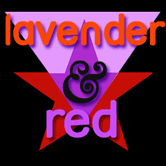 Also speaking were April Lidinsky, director of Gender Studies at Indiana University-South Bend and organizer of the Jan. 21 women’s march in South Bend; Frank Hammer and Melvin Thompson, former presidents of UAW Locals 909 and 140 respectively; and representatives of Local 5, Detroit’s Moratorium Now! Coalition and Steelworkers locals and retiree chapters. Hammer and Thompson drew the link between the locked-out workers’ struggle and the fight of GM workers in Bogotá, Colombia, who were fired after they were injured. The Association of Injured Workers and Ex-workers of GM Colmotores (Asotrecol) has been maintaining a tent encampment outside the U.S. Embassy for over five years. Local 9 donated one-third of what was collected for their members to Asotrecol. The combined take of the collection at the rally and two previous collections by a progressive church came to over $2,500. More churches are planning Sunday collections or pancake breakfasts to assist the workers, who ran out of unemployment benefits in November. After the rally, supporters caravanned to the plant, where they yelled at the scabs going in. Many scabs are from Strom Engineering, a union-busting firm brought into the plant prior to the contract vote. Strom employees shadowed the workers while they worked, in order to learn their jobs and be able to run production in the event of a strike or lockout. Union members now assume the lockout was planned in advance.